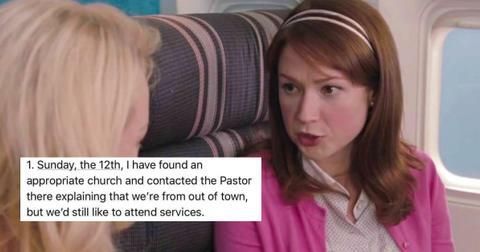 People Are Sharing Their Most Insane Family Stories and ... Who Hurt Them? 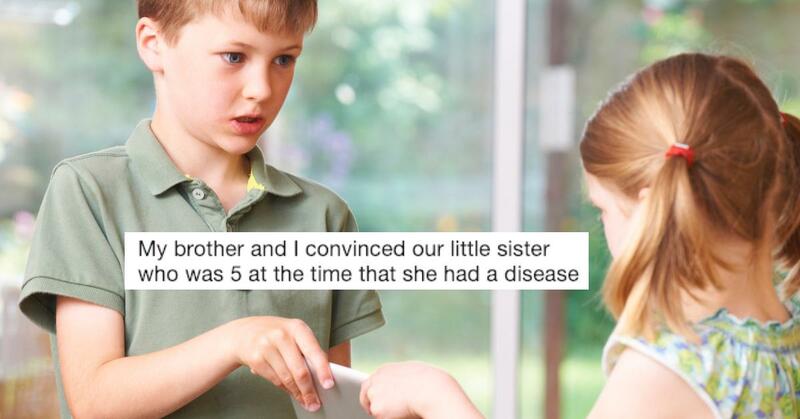 When @lukasbattle asked Twitter to share their craziest family stories, the internet did not disappoint. 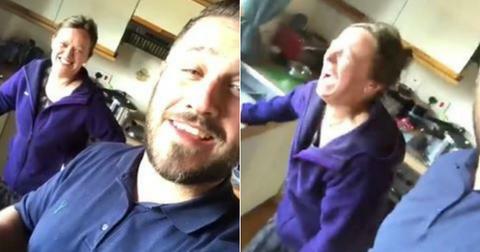 In a thread that went viral, he penned his: "Mine is when my brothers and sisters duct-taped my little brother to a pole in our basement and left him there for hours and we would periodically walk down to feed him dry Lucky Charms and water." And it was like he opened the floodgates because, before long, people were sharing stories, each one more insane than the last. Even @lukasbattle had to chime back in a day later to say he was calling 911 on his own thread. I'm starting to think the ways we acted as kids might have had something to do with how we've all grown into unhinged adults. One person writes about how they and their brother convinced their little sister she was going to die of a terminal illness. Man, the decades before the internet were such an interesting time. This seems to be a common theme with children. Someone who could relate with this anecdote responded, "My sisters put me on a shelf at Walmart and told me I was gonna get a 'new mom.'" I'm kind of surprised there aren't more people who punked their siblings into thinking they were adopted. Or wait, was that just me and Brooke? 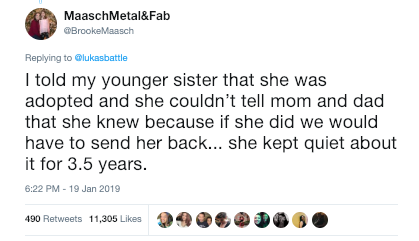 She shared how she told her younger sister not only that she was adopted, but also that she couldn't mention it to the family, lest they send her back to the orphanage. Kind of insane how long we were able to keep secrets when we were kids. 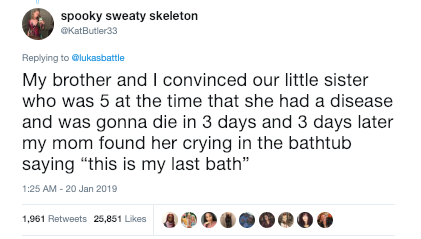 Also, for the record, being an older sibling is inherently very stressful — so what if we had to invent a white lie or two to get through the day? But sometimes we got our comeuppance from our younger brothers and sisters. Like Jeanna, who writes: "One time, my two oldest brothers ate my blue [Airhead candy]. To make up for it, they made me queen for the night and I ordered that our other brother be imprisoned. My mom came home and we all ran to our rooms. She found our brother in a dog cage crying." Help! But also, growing up with so many kids around the same age sounds like a lot of fun. Speaking of growing up around people your own age, one martyred sibling shared the story of how her older sister discovered gravity at the ripe age of 6. 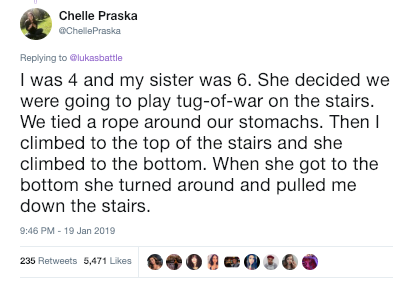 "She decided we were going to play tug-of-war on the stairs," she begins. She went to the bottom of the stairs and sent our narrator to the top. "When she got tot he bottom, she turned around and pulled me down the stairs." Honestly, someone @ my younger sister so she can finally understand how easy she had it. 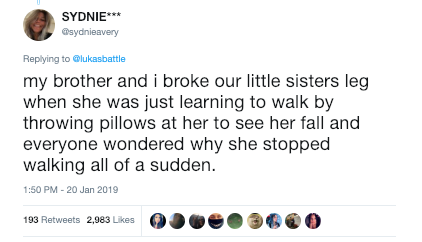 A probably-only-child responded to this anecdote, writing "When I was four, I noticed my family wasn't paying attention to me so I threw myself down the stairs and no one even f***ing noticed." Then come the incredibly wise ways in which we youngins inherently knew how to cover our tracks when we sensed we were in trouble. Is that nature or nurture, I wonder? 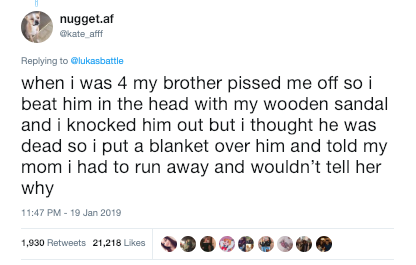 When this person thought they'd killed their brother, they "put a blanket over him and told my mom I had to run away and wouldn't tell her why." I'm laugh-crying just typing this. When it comes to life lessons, it seems some of just were just born more prepared than others. Like this other person who knew well and good that when you're being chased by a bear, you don't have to outrun the bear. You just have to outrun the other people it's chasing. "When I was 11, my brother and I were outside and accidentally disturbed a wasp nest," writes one sibling. "I out-ran him to the house and locked the door so no wasps would get in, and he was stuck screaming to let him in getting repeatedly stung." The childhood traumas never stop! I feel like this thread was just a generous invitation for the 5,000 people who responded to get a free, short therapy session. "When I was around 3 years old, I was playing outside," begins another woeful tale. "My sister at the time was around 4, almost 5. I was crawling around and my garage door was slightly open." "My sister being the great person she is thought she'd help by opening the door more," they continue. "What she didn't realize was the door has to go down before it goes up. This was in the days before sensors, so the garage door shut on my head. 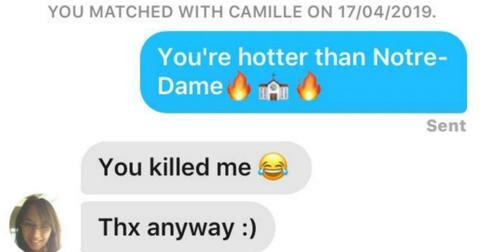 She panicked and proceeded to click the button repeatedly. I laid there screaming while the garage door opened and closed on my head." This kind of thing makes me wonder whether new moms are being overly protective of their kin. I mean, those of us who grew up with our heads repeatedly slammed by garage doors, before the days of sensors, ended up quite all right. But what would this thread even be without a small dose of childish animal-directed cruelty? 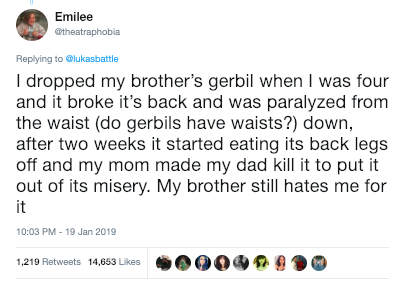 After this person dropped their gerbil, it became paralyzed and started eating its own hind legs. This seems to be a lasting memory for the narrator who writes, "it's been 15 years and I still can't handle it." As another person shares, "My sister got a hamster for Christmas one year, and a few months go by and she decided she didn't want it anymore. She stopped feeding it so it would die, then she wrote a story for school titled 'How I Killed My hamster' and my mom had to talk to her school counselor." If there was ever a "Where Are They Now" story I was interested in reading, it's one about the people who've shared these childhood stories. Also, I'm clocking this as Reason #84 for why I'll never have kids. Here Are Some Wedding Guests Who Decided to "Speak Now" Rather than "Forever Hold Their Peace"